5.51 million homes were sold in 2017 according to the National Association of Realtors. Most homes that went under contract were sold, but about 606,000 did not. Apart from the disappointment, delayed plans, great inconvenience, and added costs when a sale falls out of escrow, there is also the matter of what happens to the good faith, or escrow, deposit? Many buyers assume that the contract failed for a “good” reason, or for no one’s fault, and because it is their money, they should get it back. Many sellers believe that because the buyer made the deposit in good faith, and the buyer has shown “bad faith” by not completing the transaction, then the money belongs to the seller. After all, if the buyer showed bad faith by not completing the transaction, then how can they be entitled to the good faith deposit? Sometimes sales fall out of escrow because, for example, the home did not appraise, so the lender refused the loan. Again, that is not the seller’s fault; the listing agent came up with the list price, and the buyer agreed to it. Regardless, the seller is disappointed and wants some compensation to pay them for the biggest hassle of them all – a failed contract. When a sale does fall out of escrow, what happens to that good faith deposit? Of the many problems associated with a failed sale, one that few sellers think about is how much time, effort, and possibly, extra cost, they will have to put into handling the escrow dispute. Sellers can avoid the dispute, of course, by just accepting that the buyer should get all the money back, and the seller is not entitled to any compensation. But that is not how most sellers see it. So how do you handle an escrow dispute? 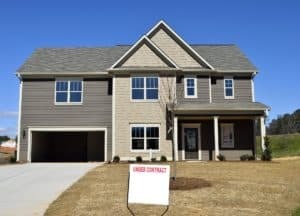 Time and effort will go into handling the dispute, so it makes sense to have a basic plan in place just in case your sale is one of the 600,000 plus contracts that fall through. In any real estate transaction, there is no “one size fits all” when it comes to protecting yourself, as the seller. The prospective buyer deposits this money with an independent company or agent to show their “good faith” when they write their offer to purchase.The amount the buyer deposits is to persuade you to take your home off the market while they carry out the inspections, the title agent searches the chain of title, and the mortgage lender arranges the property appraisal and fully qualifies the buyer for the loan money, etc. Sellers should remember that escrow deposits, and how they are held, managed, and released are subject to the state law. Each state is different, so it is wise to understand the basics in your state. Many sellers and buyers assume their real estate agent will know what to do. But what if this is only the second or third home sale they have ever handled and have never been involved in an escrow dispute? Or what if you, the seller, have gone FSBO, as they call it, and you decide to handle everything yourself? In that case, you may need to spend time and money on a lawyer to explain what to do or to pay them to do it for you. Or you need to understand your state’s law. • All terms of the contract are met, and both parties complete the transaction. • Buyer and Seller agree between themselves how to distribute the money. Given that the sale has fallen through, it is unlikely that seller and buyer will have a friendly chat about who gets what, how much, and by when. • A mutually-agreed independent mediator helps the two parties to reach an agreement. Again, this takes time and costs money. Mediators rarely work for nothing. • A court of law decides the matter and issues an order to the escrow agent with instructions on how to distribute the money. Again, this process takes time and money. Let us take three examples of state law – one from each coast, and one from the center of the country. Pennsylvania State Law says such money is governed by State Statute Chapter 73 and that mutual agreement or mediation can settle the problem. If not, then depending on the size of the escrow money deposited, the dispute must be settled by either a magisterial district justice or a court of common pleas. The seller must initiate the lawsuit. It can take up to 180 days for resolution. Illinois State Law Title 68 Chapter VIII Subchapter b governs escrow disputes. Interestingly, in Illinois, the real estate brokerage may claim costs and attorney fees to be paid out of the escrow money before either the seller or buyer see a penny. Southern California is different from even Northern California on this subject. All legal decisions are made following an interpleader action sought by the escrow agent, and their fees come out of the escrow money. California also warns sellers and buyers to check the credentials of any escrow agent before money is given to them because unlicensed and internet escrow agents have been known to commit fraud, and then no one gets any money back. It is clear that, on top of disappointment, frustration and wasted effort, when a sale falls out of escrow, either the seller can just accept the problem try to agree compensation direct with the buyer who has just defaulted, pay for mediation or pay for a law case. And because each state has its own laws, there is no “one size fits all” solution. The obvious way is to sell to a ready, willing and able buyer who will give the seller a fair market price with minimal contractual conditions, and who will close as speedily as possible. If that is the route you prefer, then please contact Seller’s Advantage online or call us at 1-800-208-3243 to get a no-cost, no-obligation quote on your home. We purchase homes in AS-IS condition and can give you a cash offer in as little as 24 hours.